A couple of weeks ago I headed to Shoreditch House roof terrace which had been transformed into a tropical paradise to celebrate the launch of the new additions to the Radox Fresh & Fruity Collection. 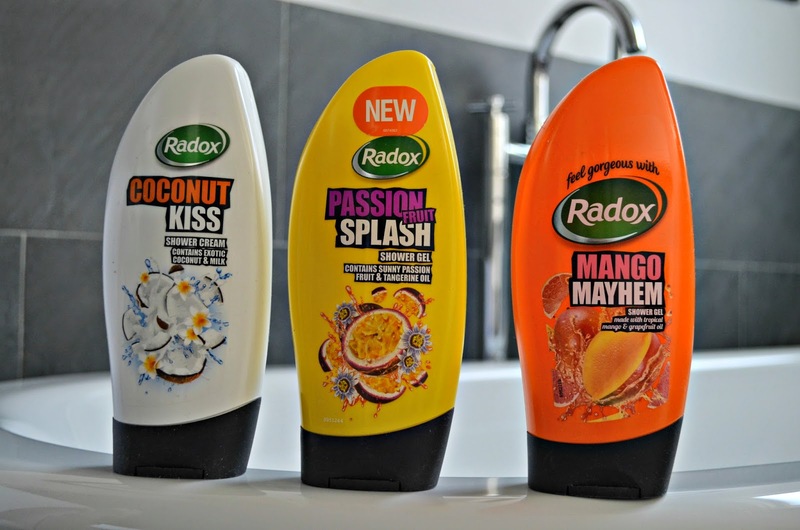 The new punchy and fun shower gels are Passion Fruit Splash and Mango Mayhem (£1.95/250ml). Passion Fruit Splash also contains tangerine oil, which I find is the main scent, which is really refreshing for your morning shower. The Mango Mayhem also contains grapefruit oil which generally I'm not a big fan of, but it is more of a background fragrance adding freshness. 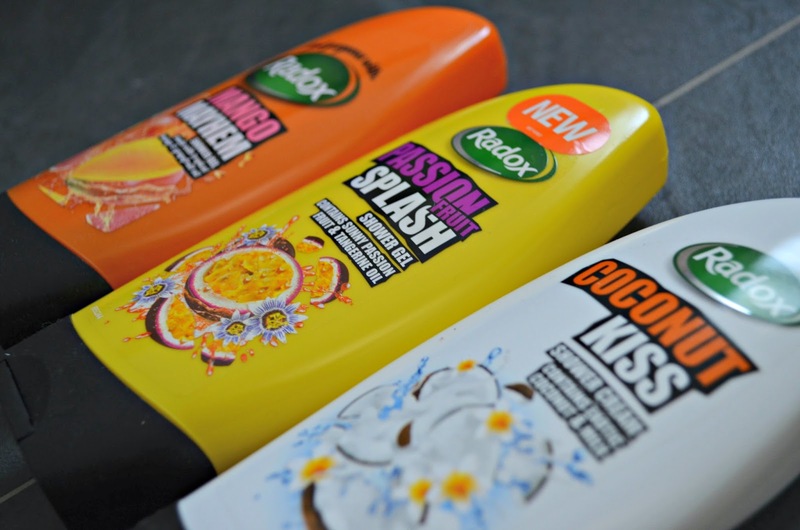 However, my fav of the Radox Fresh & Fruity range does still have to be the sweet scented Coconut Kiss - it smells just like a holiday, perfect as we approach the Summer. 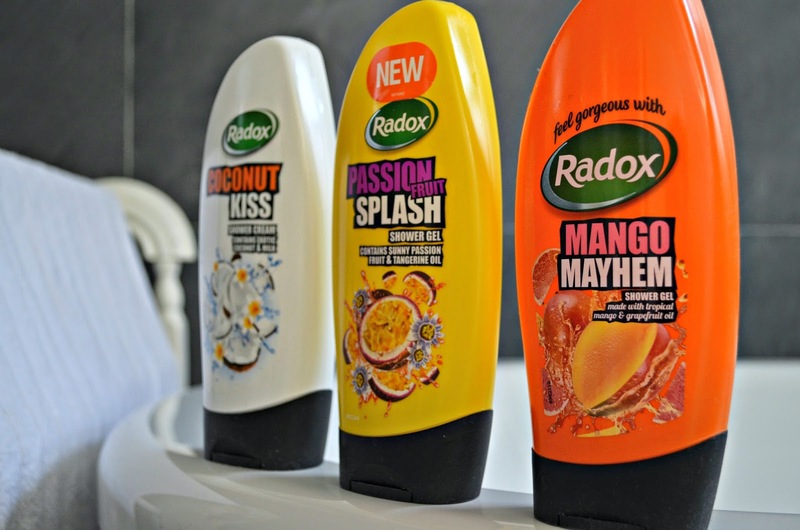 Like the majority of the Radox shower range, the bottle design means that the gel is easy to acess and you don't have to spend your shower time trying to shake the product out of the bottle. 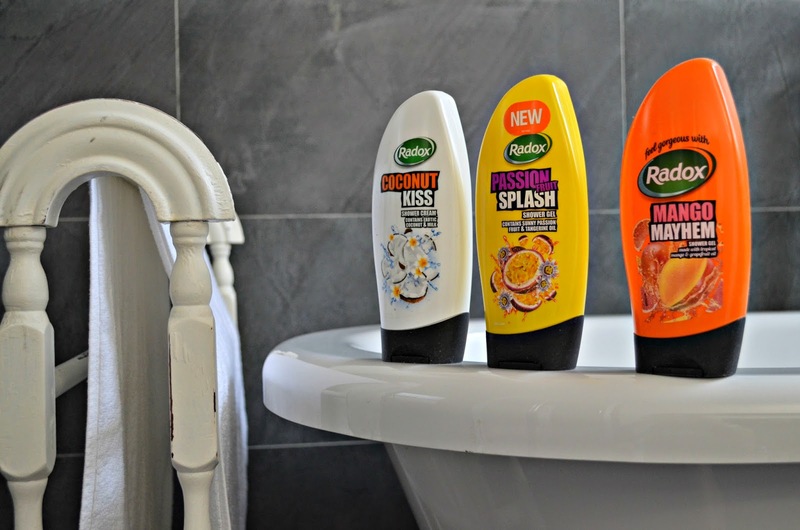 Superdrug is also currently running a better than half price promotion on these shower gels, so they are less than a pound each, so a cheap way to Summer-up your bathroom.